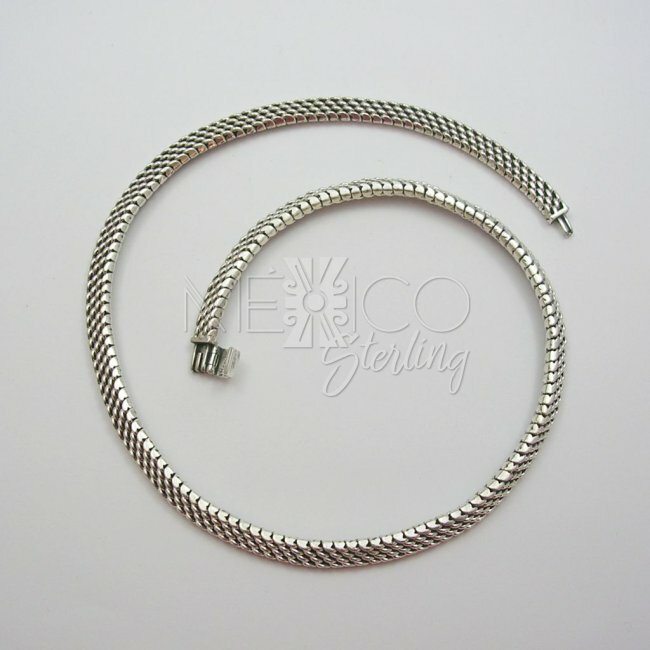 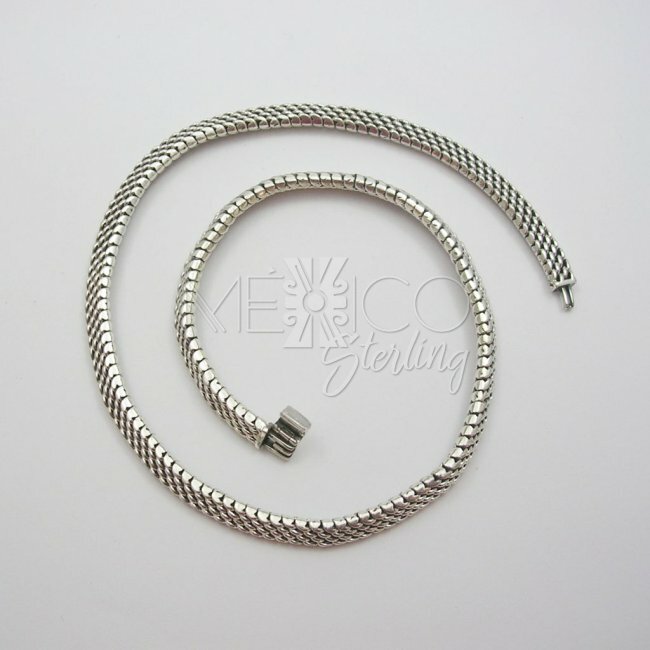 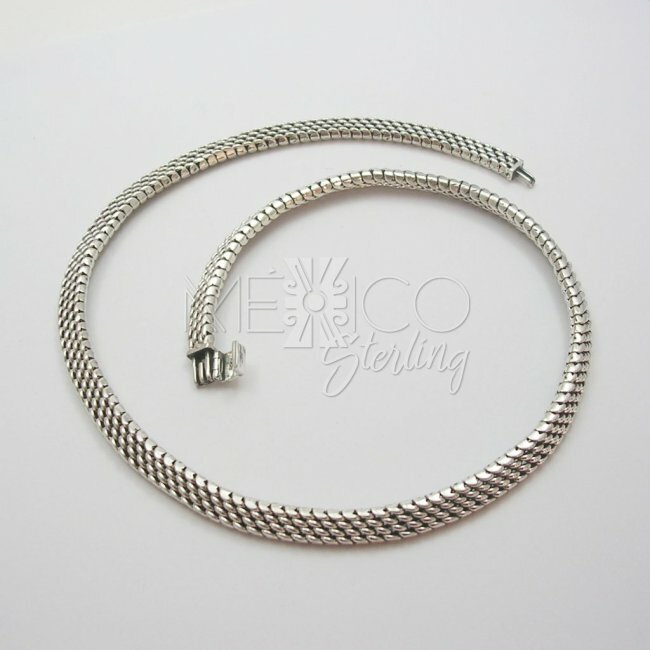 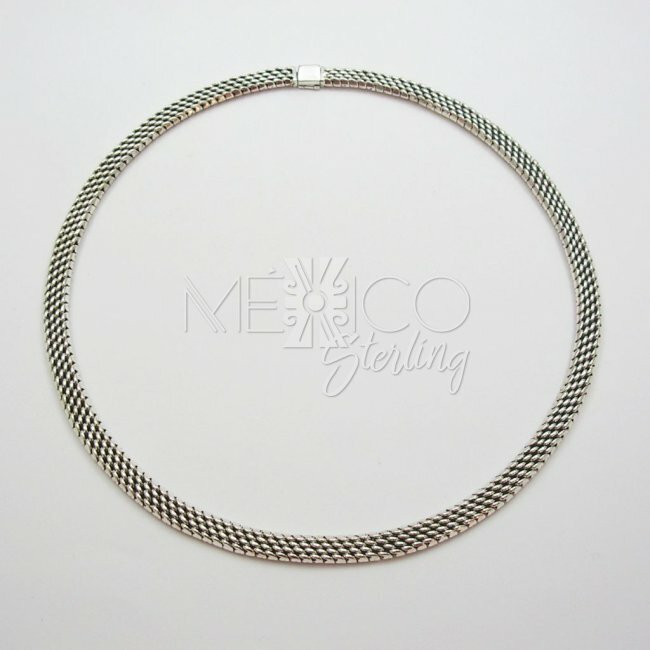 Solid Silver Taxco Necklace [NKL4006] - $182.00 : Mexico Sterling Silver Jewelry, Proundly from Mexico to the world. 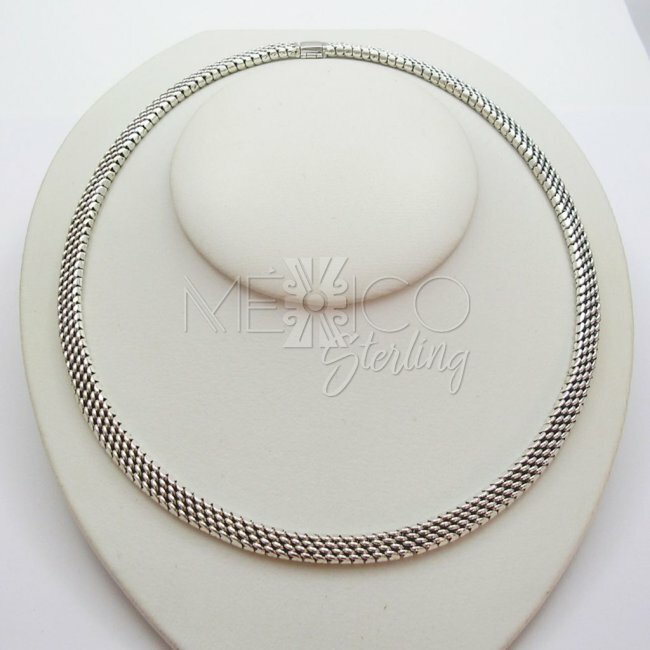 Dimensions: W: 3/8" Inside Circumference : 17 1/2"
This gorgeous silver necklace carries a very simple yet attractive design. 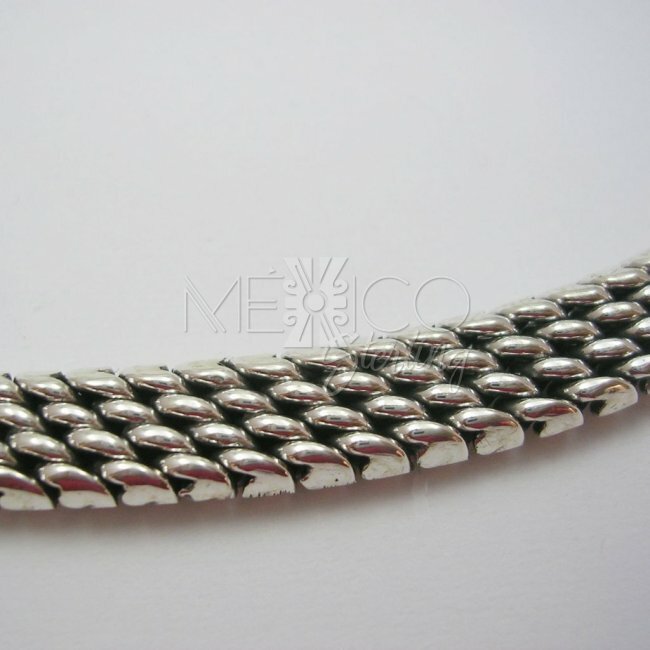 It's a fashionable piece of jewelry that, as I said before can be worn to finalize any look. 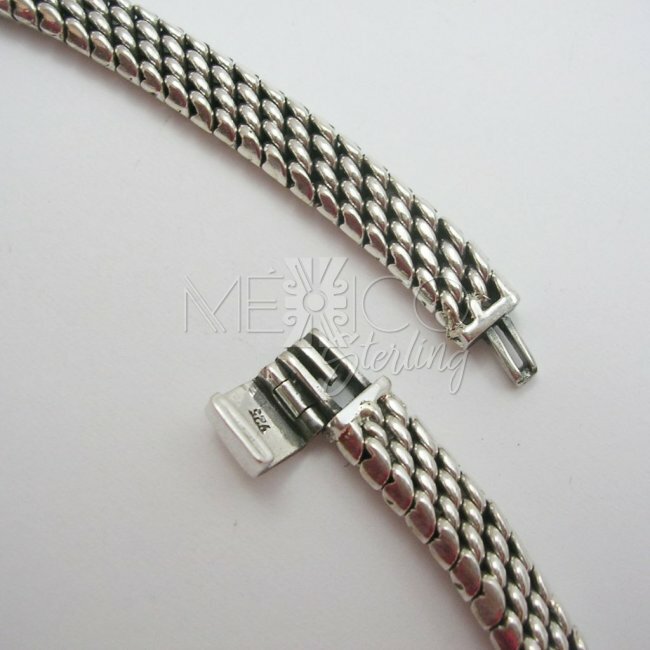 It's completely handmade with excellent worknmanship and beautifully finished. 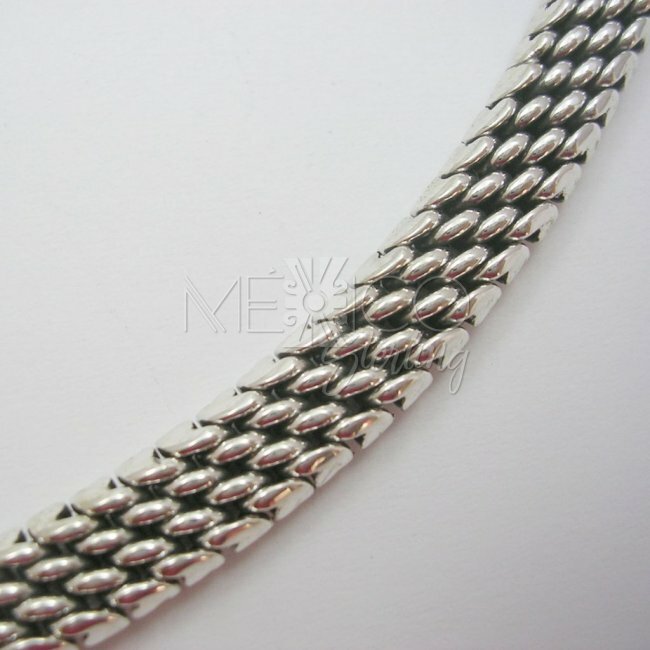 I will also would like to emphasize the weight on this piece, it's crafted with solid silve, making it substantial in weight for it's size, with a total of 66 grams.